18 of the best strength and conditioning coaches in the country earned the honor of being named a Master Strength and Conditioning Coach (MSCC) in 2017. As an introduction to our four-part series, several members of this new MSCC class are sharing their thoughts on what it means to earn the title of MSCC. Strength and conditioning coaches stay in their chosen profession because they love what they do. There are certainly easier routes to success, but few are as rewarding. Michael Hill, Director of Sport Performance at Georgetown, has seen his fair share of opportunities come and go. He came into the industry planning on being a sport coach, but like so many of his peers, he fell in love with strength and conditioning. Fellow Class of 2017 MSCC Kerry Rosenboom understands where Hill is coming from. In over three decades of experience at Wichita State University, Rosenboom has been offered a variety of different opportunities, but he stayed grounded, kept his priorities straight and bloomed where he was planted. Ask any MSCC, and they can tell you just how much work goes into earning the title of MSCC. Like any worthwhile pursuit, it doesn’t happen easily. You can’t get lucky and stumble into it, and the title is never given. You have to earn it. It’s this level of long-term commitment to excellence that makes becoming a MSCC so prestigious. It requires strength and conditioning coaches to be invested in the profession. All those who are just working a job, or collecting a check need not apply. Consistency breeds greatness. The greatness of the MSCC lies in being great at what they do all the time. There’s no such thing as a perfect strength and conditioning coach, but the expectation for a consistent standard of excellence is a hallmark of the MSCC. The mantle of excellence MSCCs are known for has been passed down throughout the years. It’s part of what makes it so special to finally join the ranks of the elite. 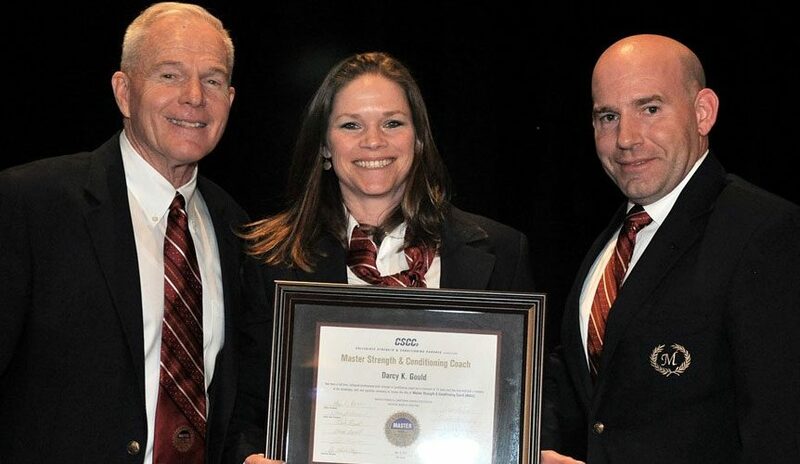 Coaches know when they are handed the MSCC jacket from their mentors, it demonstrates a changing of the guard that is vital to the survival of the profession. The evolution of the profession depends on taking the platform certifications like this afford. 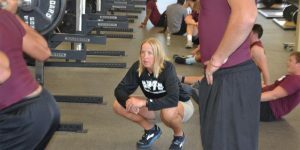 For Holly Frantz, Assistant Strength and Conditioning Coach at the University of Tennessee, it provides the added credentials she needs to make sure her knowledge and expertise is taken seriously. Ultimately, this is why becoming a MSCC is so important. It’s not about the recognition. MSCCs aren’t clamoring to have the spotlight or attention, but they do have a unique opportunity to use their status to pave the way for the next generation. Darcy Gould, Associate Head Strength and Conditioning Coach at Boston University, envisions being part of a better experience for young strength and conditioning coaches. Gould remembers the long grueling hours when she was coming up through the ranks, and while she offers no complaints, she recognizes the need to do better. The profession relies on younger coaches staying in the field and advancing themselves, and they are looking to the MSCC to show them the way. Loving the profession is a bond every MSCC shares. You don’t reach this pinnacle without passion. Gould’s message is simple: If we want the next generation to love it as well, there has to be a focus on paying it forward, and providing them with the best possible experience. In Part Two of Our Time To Shine, the 2017 Class of MSCCs will share their thoughts on the importance of mentors. 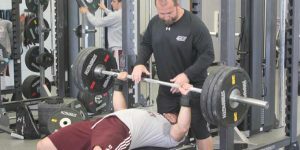 The "Unregulated" World of Collegiate S&C: Are CSCCa Coaches The Most Effective?